Details about DRY HANDS 1 oz. Sport Grip Powder for Pole Dancing, Baseball, Golf, Tennis Etc. DRY HANDS 1 oz. Sport Grip Powder for Pole Dancing, Baseball, Golf, Tennis Etc. Pleasant experience. Great communication. Thank you. Great seller! Fast shipping! Thank you! 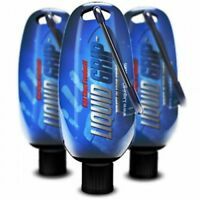 I used to use pro grip creme, but this does not leave my hands resin-sticky nor leave residue on the grips of my clubs requiring weekly washing. Also works in moderate rain. Every pole dancer must have! Mini size, great quality, good price! Thank you!!!! Have to apply a couple times but I was able to perform all moves that was hard once before. I use it playing golf. Summers in Houston are incredibly hot and humid. 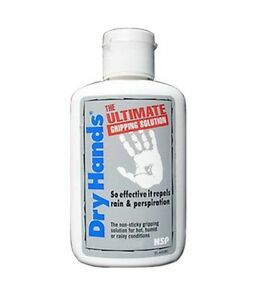 This stuff really keeps my hands dry.